Monochromatic 3D prints and designs are a thing of the past! The da Vinci Color delivers a full spectrum of color for you to create prints as intended from your designs. Whatever your dream designs may be, the da Vinci Color can print it. 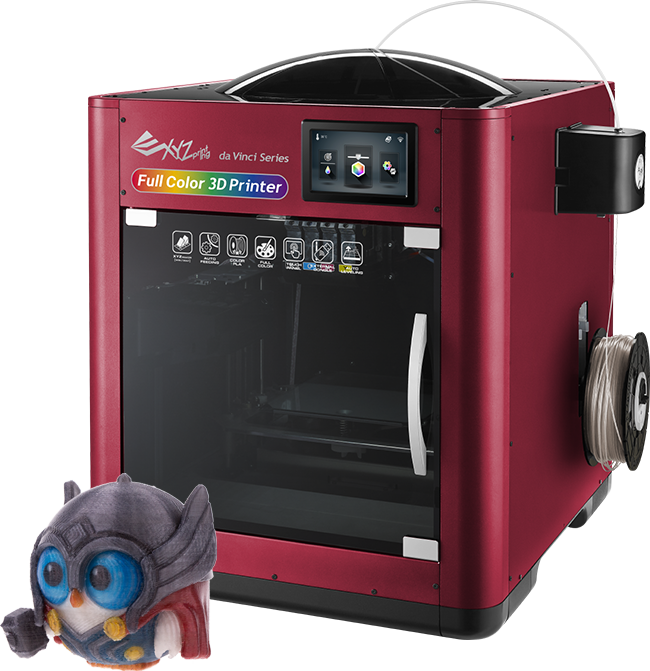 By uploading any full-colored 3D digital models, you are entered for a chance to get your design printed by the world’s first full-color FFF inkjet 3D Printer. At the end of the competition, all entries will go into the draw to win one da Vinci Color valued at $3,499 so start submitting! *Competition closed. Congratulations to the Winners! The 3D printing process allows for the creation of tools/prototypes/projects to be made faster, easier, and with no risk. However, most FFF printers can only print in one color, or at least, in a very finite amount of color. This means that a lot of time is spent in the post-production process, with tooling and painting work just to reach a semblance of the original 3D design. With the da Vinci Color, you have access to roughly 16 million different color possibilities, ensuring that users save time during the post-production process. 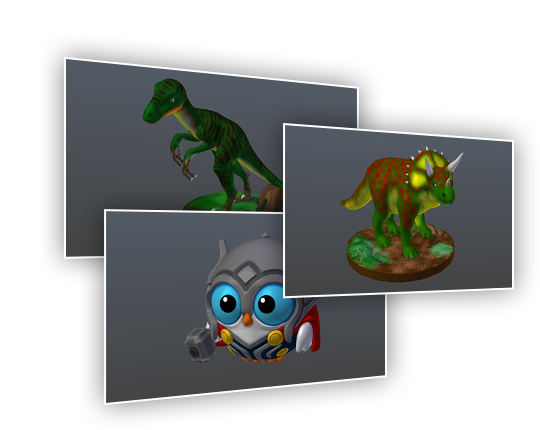 All you have to do is upload your colored 3D designed model and print the idea into reality. 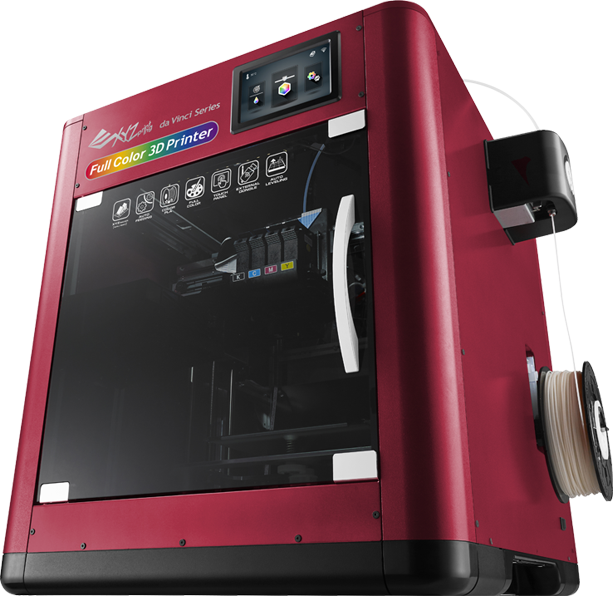 The future is full of color; the da Vinci Color is ushering a new era of full-color 3D printing, letting users have 16 million color possibilities for their prototypes, models, figurines, or even help them create their own full-color 3D printing business. 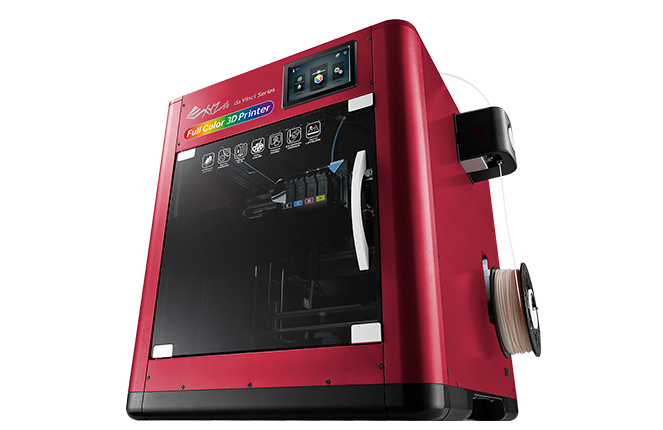 The da Vinci Color has a 7.9 x 7.9 x 5.9 inch build volume and is powered by 3D Color Jet technology, the combination of CMYK inkjet technology and Fused Filament Fabrication. Check out more details about this industry-changing 3D printer! Oh No... Something Wrong happened. Please Click here or reload your page. Seems like you already voted within 24 hours, please come back tomorrow to show your support if you wish to vote again. Thank you for the support. Your designs are going to be printed! 2. After uploading, you can share the details of your project with us. Those who share their stories are eligible for awards as well depending on their vote count. The more you share, the more chances you’ll get votes. 3. You are not limited to uploading only once; you can upload as many materials as you want to make your chances of winning even bigger! Just make sure you have your files submitted 48 hours before the end of the event. Every upload must be reviewed. 4. Prepare your files and thanks for participating! 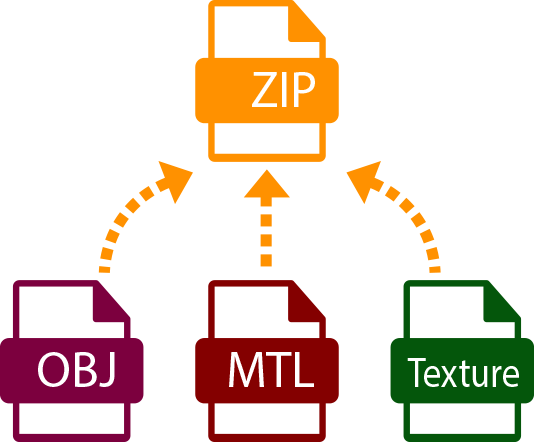 You will need to input your model with the correct textures and provide them in a ZIP file that includes the following items: Model (OBJ), texture (PNG, JPG, JPEG, BMP), material file (MTL). It is recommended to upload the file via computer. Please leave your contact information to complete the process. Opps... Something wrong happened! Please reload this page again. We will inform you once the file is verified. Copyright © XYZprinting, Inc. All Rights Reserved. From 9/15/2017~11/19/2017, we will be announcing winners every Sunday. The winners will be announced on our winners’ page and at the end of November, one lucky participator will win the biggest prize – the da Vinci Color itself! 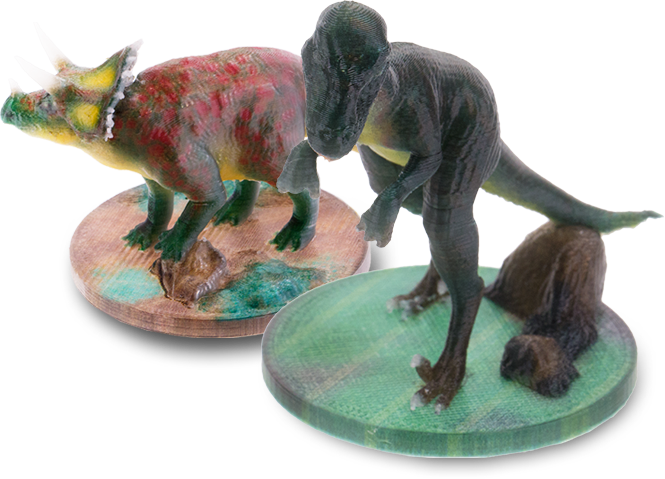 Every two weeks, we will randomly draw 3 participators to win the Color printing of the model they have uploaded. We will contact winners via email to further the process. Lucky draw date: Sept. 24th, Oct. 8th, 22nd and Nov. 5th. Every two weeks, the top five models that receive the most votes can win the Color printing of the model they have uploaded. We will contact winners via email to further the process. 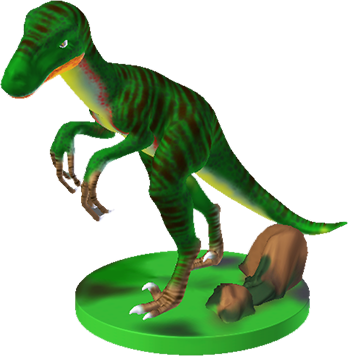 The models which have won this prize before cannot be selected to win again, but the designer can have more than one model entered for the prize (one win per model limit). Announcement date: Oct. 1st, 15th, 29th and Nov. 12th. On Nov. 19th, we will randomly draw a WINNER from all the models uploaded during the event. 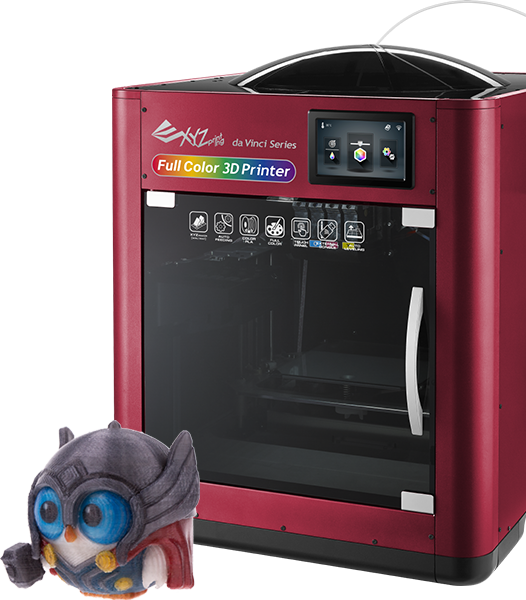 Everyone has the chance to win the world first Full-color FFF inkjet 3D Printer-da Vinci Color (MSRP $3499) We will contact winners via email to further the process. All those who have uploaded 3D models during the campaign will each receive a $250 discount for a da Vinci Color purchase. 1. You can vote for any works you like, but you can only vote once every 24 hours. 2. The top 5 models to receive the most votes can win the color prints by da Vinci Color every two weeks. The model which has won before cannot win the prize again.